There is a ticking demographic time bomb demanding action by the United States’ education community. College degree attainment varies markedly by race and those differences will have increasing impact as we move toward a diminishing white population at the same time as the minority communities grow. The US Census projects white Americans will be in the minority by the year 2045, less than 30 years from now. The expanding diversity presents interesting promises and challenges. At a time when as a nation, we seek to improve education attainment rates, the groups with higher levels of degree completion are becoming smaller pieces of society and those groups that are currently less likely to earn postsecondary degrees are growing rapidly. Historically Black Colleges and Universities are in an excellent position to provide solutions to this issue, while at the same time addressing their own enrollment challenges. Improving bachelor’s degree attainment among minority students will require a variety of interventions but HBCUs can play a major role. There is good news in the rising numbers of students pursuing higher education and even better news that the differences in college going rates among ethnic groups have narrowed significantly over the past two decades. Presently over 60% of both black and white students enroll in postsecondary education soon after graduating from high school. The shrinking gap between white and minority high school graduates entering college is a positive development but substantial differences remain in the types of institutions they enter and the rates at which they graduate. Between 1995 and 2009, there was a 32% increase in the number of students entering college. For minority students, most of that growth took place in the community college. Two year colleges experienced a 44% increase in the number of entering black students and a 48% increase in the number of Hispanic students. Conversely, the number of white students entering community colleges during the same time period showed no increase. A different story unfolded at mid to top tier U.S colleges. There, black student enrollment grew by 7% and Hispanic student enrollment grew by 10%. Students of color disproportionately begin their postsecondary careers at community colleges. The community college attracts many students of color and first generation students who opt for access and opportunities to find ways around substantial debt, as well as a promise of transfer. The free community college movement, which is becoming increasingly popular as entire state systems and local regions adopt it, also encourages more students and their tuition paying parents to consider community college first. Students who enter higher education through the community college overwhelmingly express a desire to earn bachelor’s degrees but the transfer path from community college to the bachelor’s degree is challenging and too few make it through the obstacles. In fact, over 80% of entering community college freshmen indicate a desire to earn a bachelor’s degree. Unfortunately, less than 25% have made it to a four year campus five years later. HBCUs may be a logical next step for many students of color who choose to begin their higher education at community colleges; but in far too many cases, the links have not been made and the bridges have not been built. 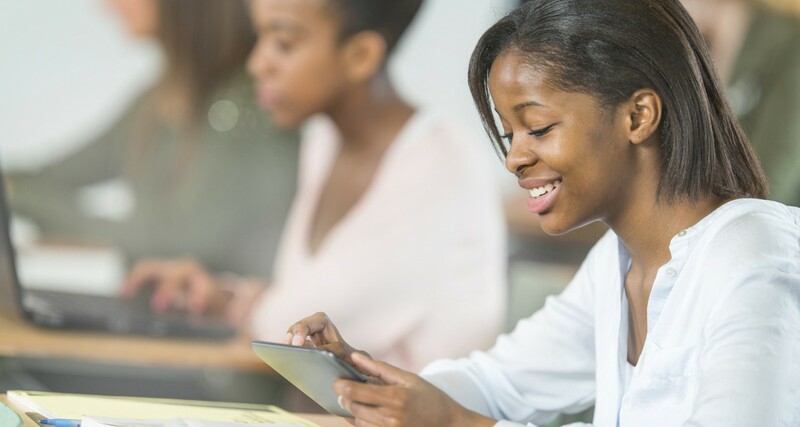 HBCUs have much to gain in engaging these potential transfer students. They represent a pipeline of diverse and academically proven students who often bring life experiences that add value to the discourse and environment at four year colleges and universities. They also help with enrollment challenges, filling seats left vacant by first year attrition that averages over 25% at all colleges across the nation. Students who may have already successfully completed general education requirements and mastered successful study habits are available to fill the classrooms of upper level coursework. The community college has shown itself to be capable of producing talented scholars. When students successfully transfer to four year institutions, they perform well, earning comparable GPA’s and graduating at comparable rates as native students. And most importantly, HBCUs have the opportunity to support the baccalaureate dreams of the many students of color who enter through community colleges. These students will benefit from the vibrant, supportive atmosphere that has successfully and distinctively encouraged so many scholars who came before them. Students who cross the bride to four year institutions tend to be successful but the challenge is in achieving the transfer. There have been many obstacles including transferability of credits, underprepared students, lack of coordination between two and four year colleges and limited communication between potential students and four year institutions. Some solutions are complex, requiring structural reassessment and reorganization, but others are easier and readily implementable. Examples include enhanced review of data, improved information and communication, proactive outreach to students interested in transfer, and collaboration around the student as opposed to institutional peculiarities. A collaborative partnership with presidents and other community college administrators is also paramount. Successful transfers reflect positively on everyone’s accountability measures. And community college presidents will benefit from a reminder that their enrollments are increasingly made up of students of color and those students would benefit from the higher visibility of an option that has historically supported the education and development of African American students for over a century. The HBCU community can be more proactive in engaging with community college administrators to effect smoother collaboration and partnerships that remove obstacles from the pathway. There is much work to do. Graduation rates vary demographically. Six years after entering full time in 2005, 58% of white students had earned a bachelor’s degree compared with 46% of Hispanic students and 39% of black students. Baccalaureate attainment differs by race as well. Among 25 – 29 year olds in the United States, 41% of white Americans, 22% of black Americans and 15% of Hispanic Americans hold bachelor’s degrees. All of this unfolds at a time when economists warn that we need to increase the number of bachelor’s degrees in this country to ensure a society whose skills and knowledge match the demands of our changing economy. Anthony Carnevale, director of Georgetown’s Center for Education and Workforce has estimated that by 2018, we will need 22 million new college degrees–but will fall short by at least 3 million. Educating these students of color and helping them to achieve their goal of a bachelor’s degree will require meeting them where they are. Community colleges and HBCUs can work together to link their processes, strengthen articulation and make the experience more intuitive. Improving transfer requires a strategic and intentional focus and an analysis of ‘what works and where can we improve?’ Data informs. There are many answers in the numbers and these can be augmented with qualitative information from students who have experienced the process. If students are entering the system through the community college, stronger focus and attention on establishing a navigable path is of the highest order. This benefits all of us. Students, colleges and our national economy will thrive with a growing, multicultural, educated citizenry. This will happen when we proactively focus on strengthening transfer and building bridges to improve communication. Two and four year colleges and universities must appreciate their critical responsibility in creating partnerships built around students’ goals, needs and aspirations. The mission of higher education requires us to connect the pieces from the various entry points to higher education to the end goal. Our nation’s changing demographics and college going patterns encourage and incentivize the natural partnership between community colleges, HBCUs and the students we serve. Dr. Shelley Fortin is CEO of Community College Transfer, LLC., a group that specializes in working with colleges and universities to help them improve and execute successful transfer strategy. She has over 25 years of experience as an enrollment expert, community college leader and higher education administrator.